Prepare the basic dough recipe according to this blog, but halve the honey. Unless you like sweet pizza dough? Feel free to vary it, just stick to the whole theory of grinding your wheatberry and flax. I really reccommend using a soft white wheat for this because you still want the pizza dough to be, well, doughy. 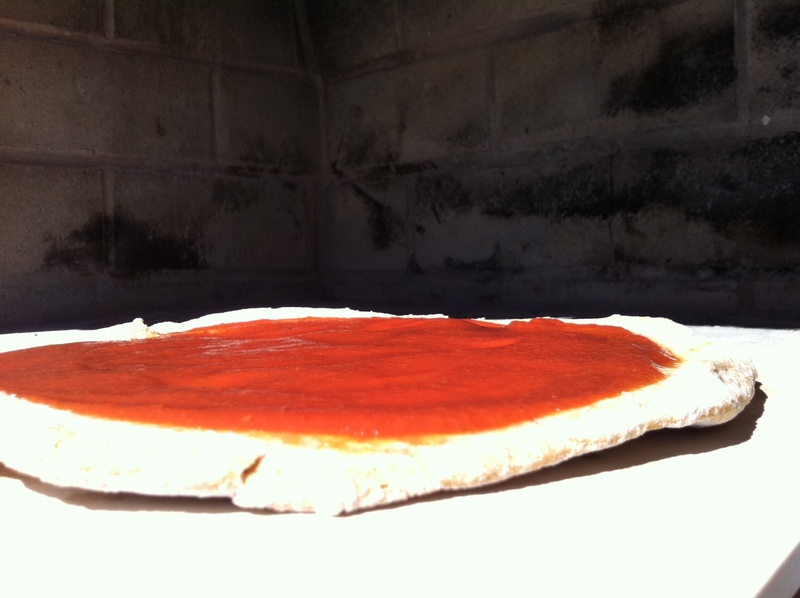 Once the dough has risen in the bowl, divide it in half and roll into crust. I roll my dough into 2 dough balls, place on a floured surface (for this you can use any old all purpose for convenience) just to make sure it doesn’t stick. I then roll it out until it looks like pizza dough. I roll in a clockwise direction. The first roll is 12-6, the next a 1-7, the next a 2-8 etc until it is thin or thick enough for your liking. I then pick the dough up with my rolling pin and place it on a pizza stone with cornmeal. If using immediately add your toppings and let the dough rest for 10 minutes. Then bake at 400 for 20-25 minutes. If freezing, let the dough rest for 15 minutes then freeze in a trash bag or plastic grocery bag. This dough is surprisingly crisp on the outside, but chewy and fluffy on the inside.